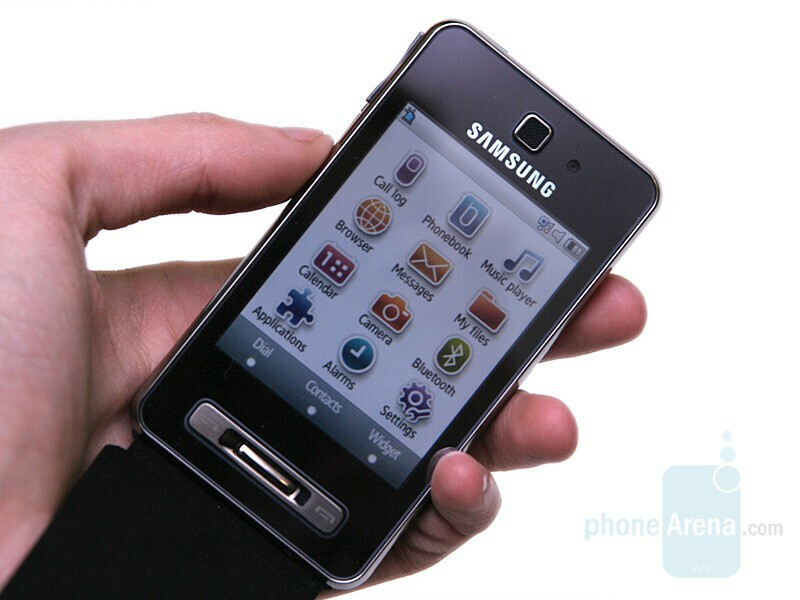 Here at the Mobile World Congress in Barcelona, Samsung announced a slew of new phones, one of which is the SGH-F480. 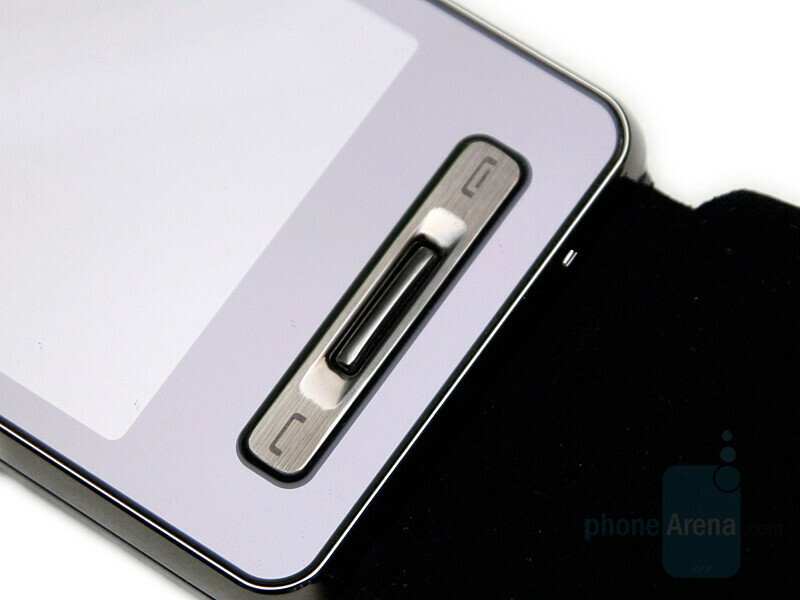 It is a stylish slim candybar with combination of brushed aluminum and glossy black for the finishing. It is a top notch device both in terms of design and functionality, and is the first to use the new TouchWiz interface, which is the successor of the Croix. 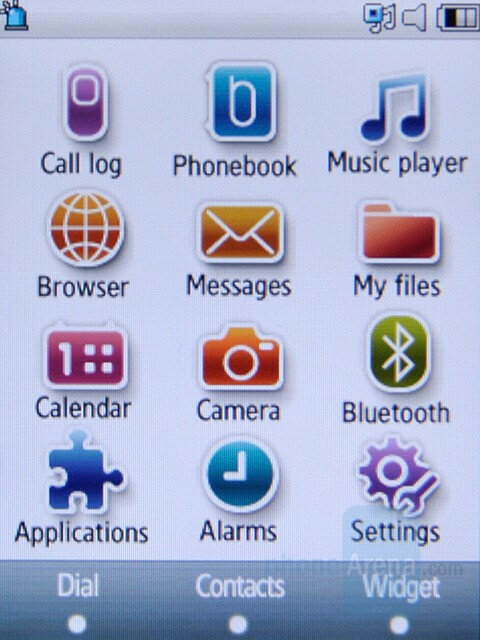 This interface makes the phone look really contemporary and uses the strong sides of the software, used in other Samsungs. The F480 definitely catches the eye, so continue reading this preview for more information. Did someone say PRADA? Well, it really looks similar. We won’t go into details about the design in this preview as the images will say it all. The F480 can stand next to the Prada and Armani phones with its head high up as it definitely looks great. 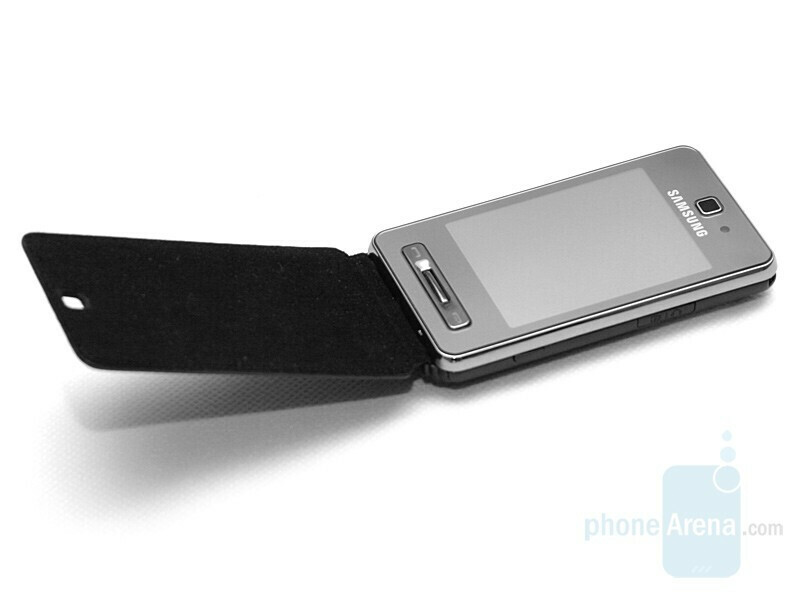 Additionally, it can have a leather cover on the back (half of it) and front, making it look as a fashion accessory. The unit we currently use is of this type, but we also saw one without the leather – it is just the battery cover which is different. 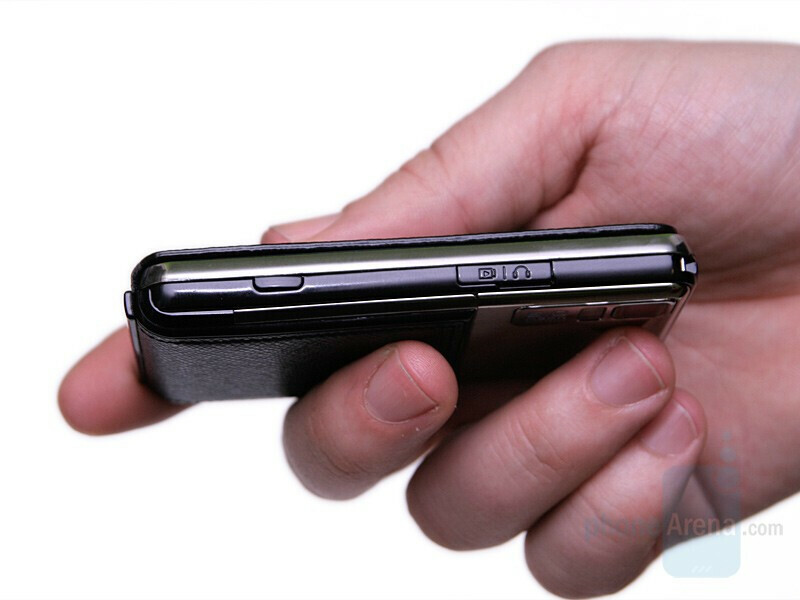 The larger part of the front is occupied by the 2.8” large QVGA touch sensitive display; above it is the eaerpiece and the video camera lens, while below are the send, shortcut and end keys. The screen uses capacitive sensing technology, which means it is activated by the electricity of a finger instead of the touch itself (so cannot be used with any object, but finger). Strangely, this prototype reacts better than the Armani and the F700, which we didn’t really like, but still we guess that even the final version will be at least a step behind the best one in this aspect we’ve used – the iPhone. As we said earlier, this is the first phone to use Samsung’s new TouchWiz interface, which is the successor of the Croix. It is very similar in the way it acts, but in visual aspect they have nothing in common: our main dislikes of the Croix were that it has monochrome look, and often the user must wonder what the icons actually meant. 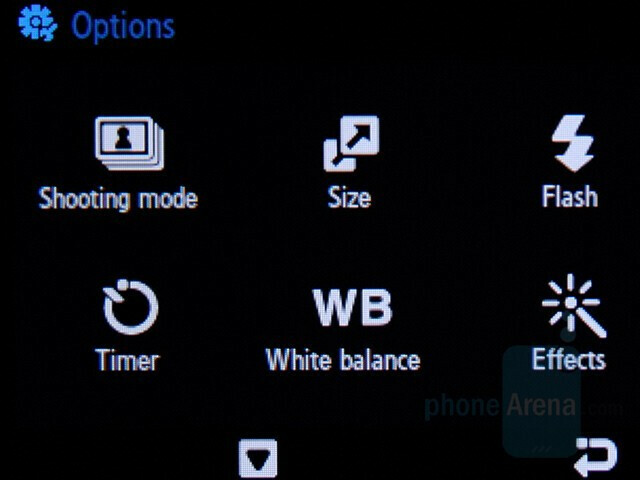 In the TouchWiz, everything is colorful, easily distinguishable, and has label with its function, so even the first time user will orientate easy. Similar to the G600 (and the Soul), the menus change with an animated transition. In this model they cannot be personalized, but are different depending on menu you are currently in. In combination with all the colorful icons, this looks very good. A new feature are the ‘widgets’: currently there are only eight of them, but probably in the future there will be much more. These are simple small applications that are shown over the homescreen. Situated in a column on the left, when needed must be dragged and dropped on the home. They are not ‘locked’ anywhere in a specific position, and just ‘flow’ over, so if you want to change their position, can do it directly by dragging. 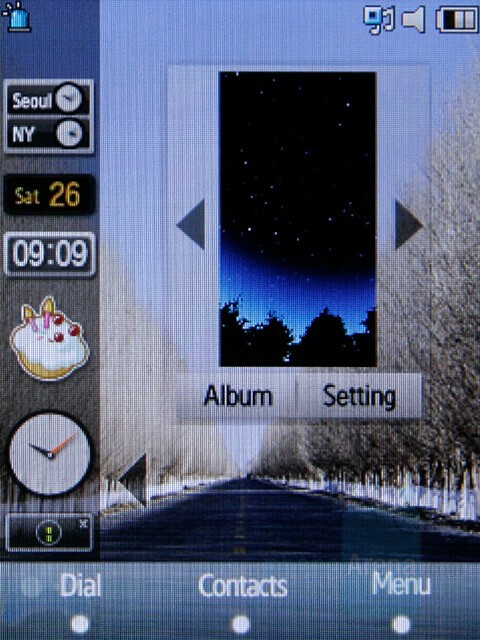 As expected, all software functions are modified ones from other Samsung phones. The phonebook is the one from the high-class models, with option to add multiple additional fields. The same goes for the Calendar, Alarms and other organizer options. The music player ‘filter menu’ is also from the high-class models, and thankfully the now playing interface has nothing to do with the Croix – it shows the art cover, the track information and the buttons for control. 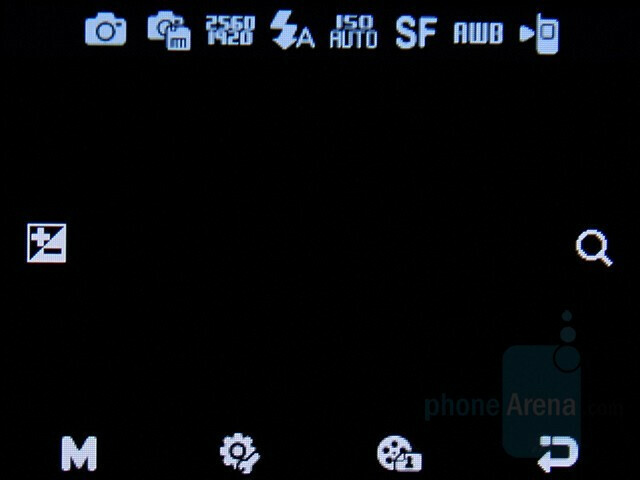 However, we should note this is just the model we are currently using – the final version may use other modules (for example from the mid-level devices) and other phones with this graphic interface are not expected to be exactly the same too. 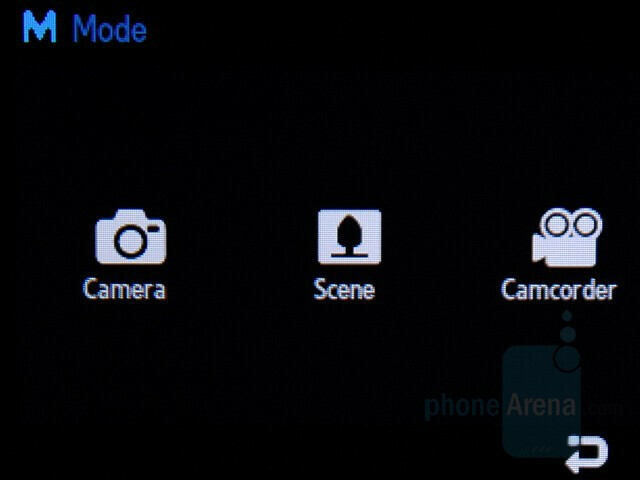 The camera interface is a new one, optimized for the touch screen. Its icons don’t have the colorful look of other menus, but rather remind of the monochrome Croix and the G800/G810 interfaces. Here all buttons are large and can be touched with a finger without any effort. 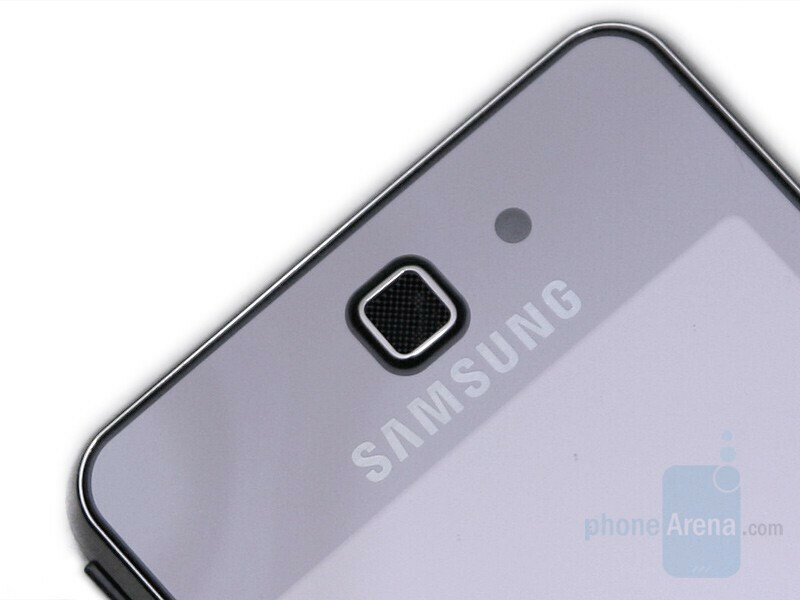 The camera is 5-megapixel with auto-focus, but due to the phone being a prototype, we won’t comment on its quality. 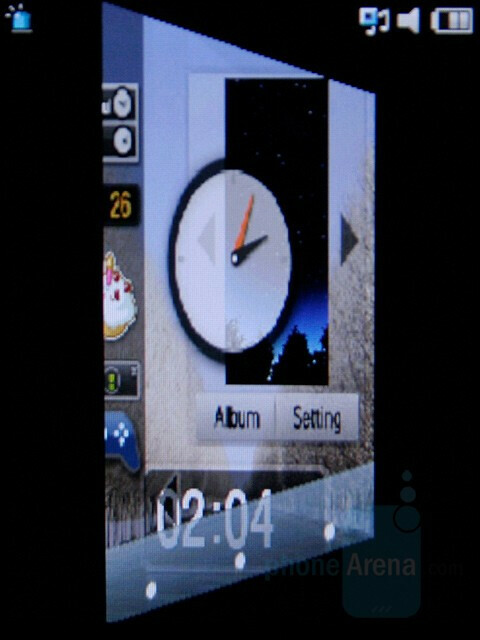 A new feature is called “Music recognition” – we weren’t really able to try it, but guess it is just what the Track ID for Sony Ericsson and the Music ID for LG do – records a few seconds and sends them to an online server to analyze them, delivering track information back, such as artist and title. Don't forget to check out the Preview's gallery for more photos! 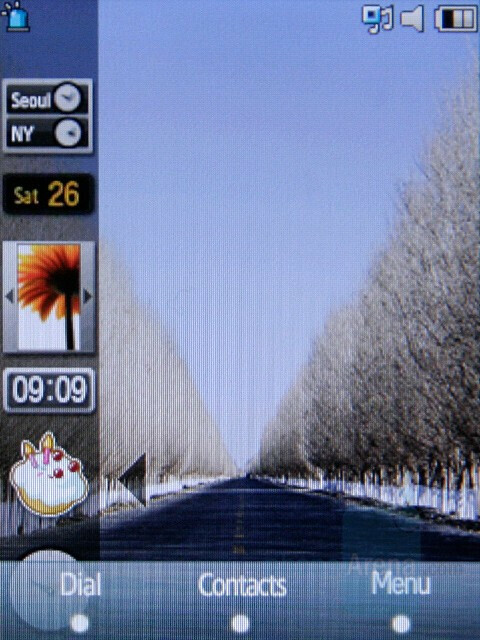 Samsung's touchscreens are resembling LG's handsets more and more everyday. well, how many different ways can you make a touchscreen? you could make it a star shape.. not very functional or pocket friendly though! 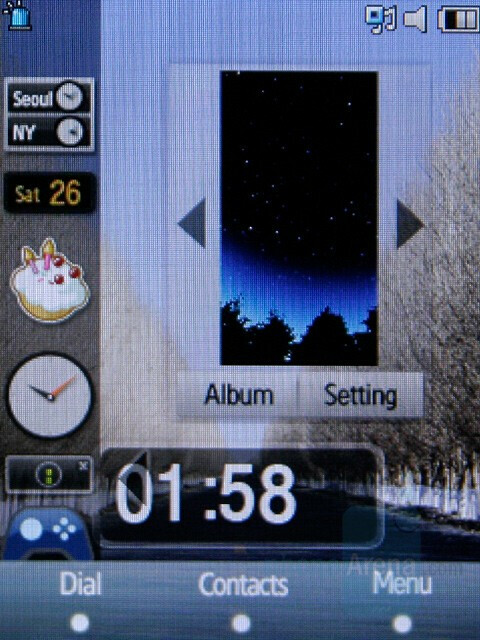 soon, im sure most phones will look similar exept for colors and features, as they move to touch screens. 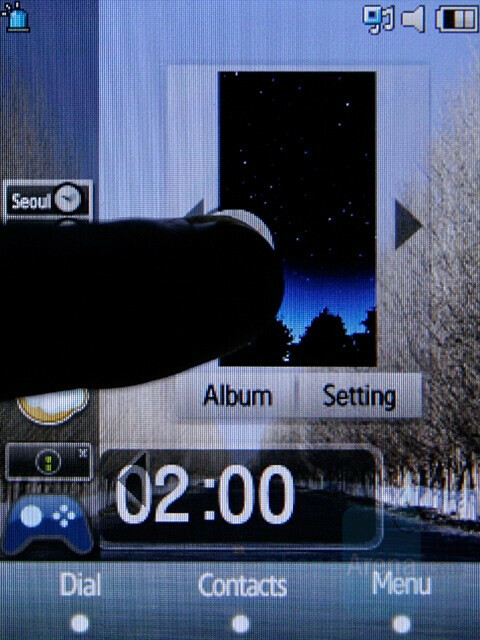 You could design a touchscreen that has the time in giant letters, instead of the teeny ones that Samsung favors. Do they think people wear watches or something? Look at Motorola's touchscreen phones. Besides the ROKR e6, they have a very original design, like the MING. Plus, LG first used the usual, glossy, simple look. It also was first to use that silver frame in the Viewty (right, iPhone?). looks like it doesnt come with a stylus, does it?.. how disappointing.. it'd have been perfect if it had come with one and had wifi connectivity..
Can we say $$$$ signs how much will it cost??? When is this software for the whole turning like the Iphone and the Shake feature coming out?? or is that just romour? 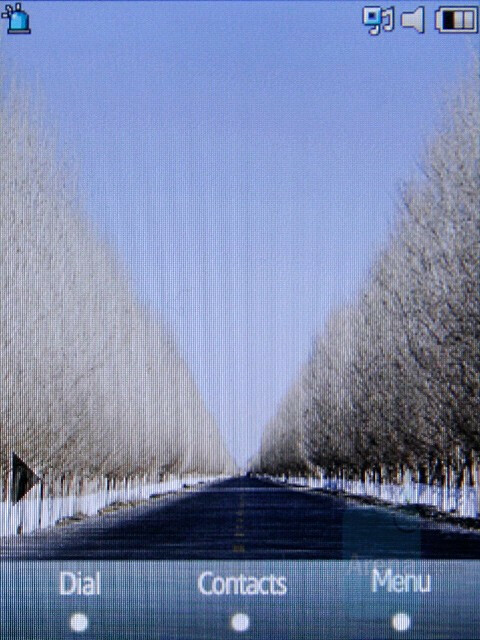 Where can you download the softwear for the turning of the screen and so on? Love the phone but the volume of the ear piece for incoming calls is too low. Any way to modify the factory settings to make it louder? i cannot use my internet in my sgh f480 even though i have settings from globe telecom here in philippines. what will i do?? 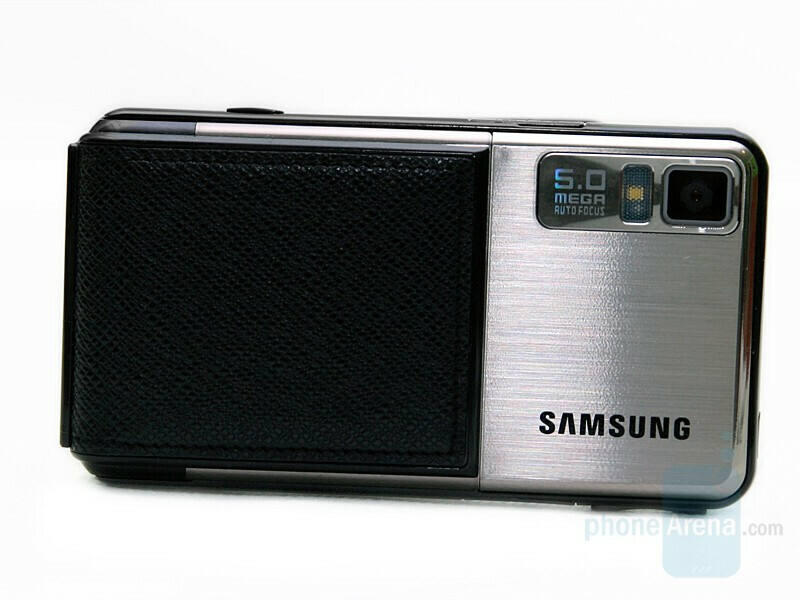 I have a SGH-F480 mobile phone, does anyone know where I can get a flip cover for it? i have a sgh-f480. 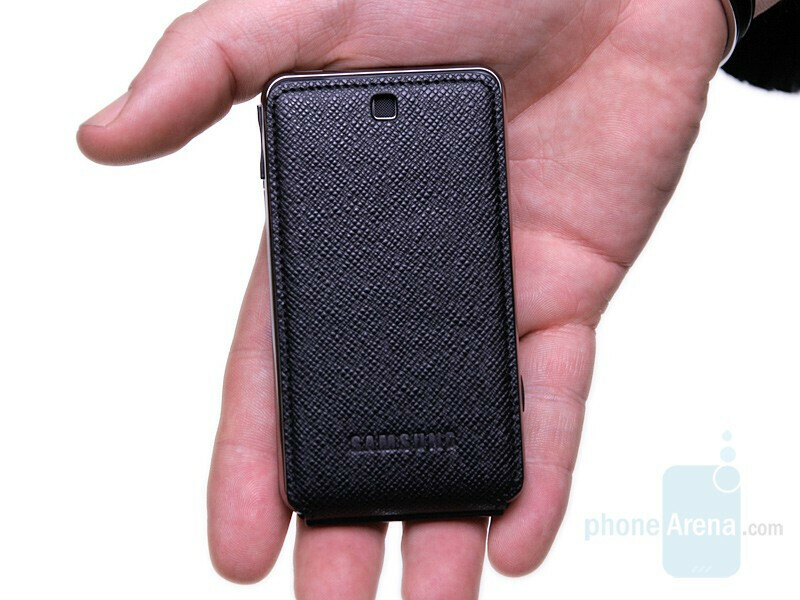 anyone know where u get a flip cover for it in baharin..?